A deeper look at UGA’s 3 new Cornerbacks. Speed is the biggest cornerback that was signed in terms of height and he has the kind of frame that transitions to the next level. He is not particularly highly ranked, but he received an offer from Alabama and Nick Saban heavily pushed for him. His length is really impressive and there is no doubt that he will bring a certain physicality to the position next year. 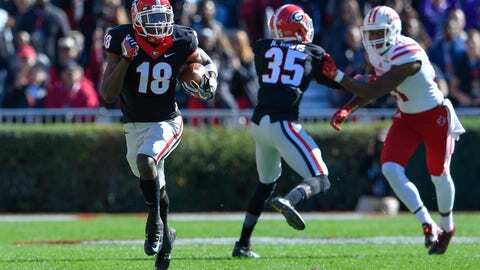 After having so many issues with big wide receivers last year, (see the Ole’ Miss game) someone like Speed will be a big additional to Georgia’s revamped secondary. Brini originally committed to UGA back in July before decommitting in October because he wanted to see his other options. Much like Speed, Brini is long and already has a decent amount of weight on his frame. He fits in with Kirby Smarts desire to get bigger, faster CB’s who can take down running backs as well as bigger receivers. Unlike the other 2 recruits, UGA was the only SEC school who offered Brini but he was highly sought after by Florida universities. He might be the most ready to come in and play of these recruits and it will be fascinating to see how he competes. Stokes might be one of the lowest ranked players in this UGA class, but he is certainly one of the most intriguing. He is one of the fastest men in Georgia, winning the state championship in the 110m, 220m and 440m this past year. He hasn’t played a huge amount of football and is very raw, but his film jumps out at you. It might take him time to get onto the field, but his potential is impressive. I see him becoming a real impact player down the road.